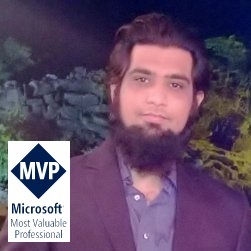 I am glad to announce that on 1st July 2014, I received an email from Microsoft on being awarded as the Microsoft MVP (Most Valuable Professional) in ASP.Net/IIS. I got really excited to see the award and that Microsoft has recognized my contributions I did in the community. I am more impassioned and certainly increases my motivation to contribute more in the community. I would like to thanks Microsoft for acknowledging my efforts and especially Microsoft Innovation Center, Pakistan for sponsoring my technical sessions/events and giving me opportunity to contribute and participate in Boot camps and Tech Ed events. Looking forward to continue my efforts and share the knowledge as much as I can to help the community. Congrats sir for being MVP..